How cool are these tags? 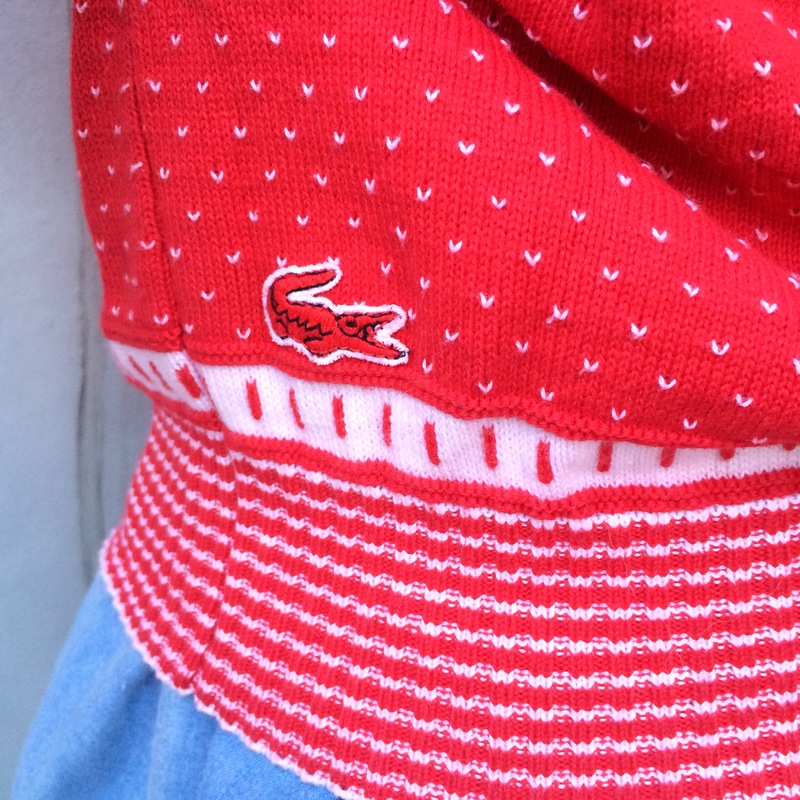 We love our vintage Lacoste. And when we manage to get 3 pieces so vastly different yet all so cool, from 3 different eras, it brings out the OCD (obsessive “collector” dancer 😉 in us! 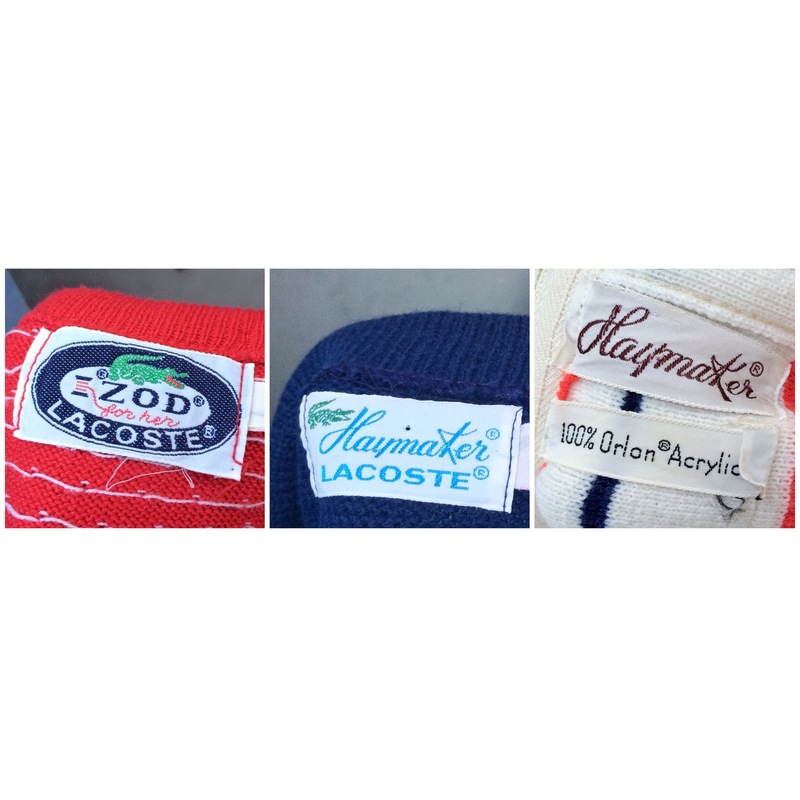 These 3 awesome vintage preppy garments hail from the 50s, 60s and 70s, sharing the same roots in the David Crystal Company. The chairman of the board, Vin Daddy (now, that’s a loaded name for y’all) was an avid golfer, probably part of the reason behind the preppy panache of the brand. Anyhow, we had fun hunting them down and now we hope someone who shares the same love of this croc will bring them home!